SUV Popularity Contributes to Overall Brand Sales - Cox Automotive Inc. In the last 10 years, most non-luxury brands have benefited from the explosive growth in SUVs. Brands such as Subaru and Kia have seen massive increases in their overall sales, while Dodge saw negative growth in car sales and comparatively modest SUV gains. SUV sales growth is up 16 percent in the last two years, with more than 6.5 million new SUVs sold in 2018 alone. 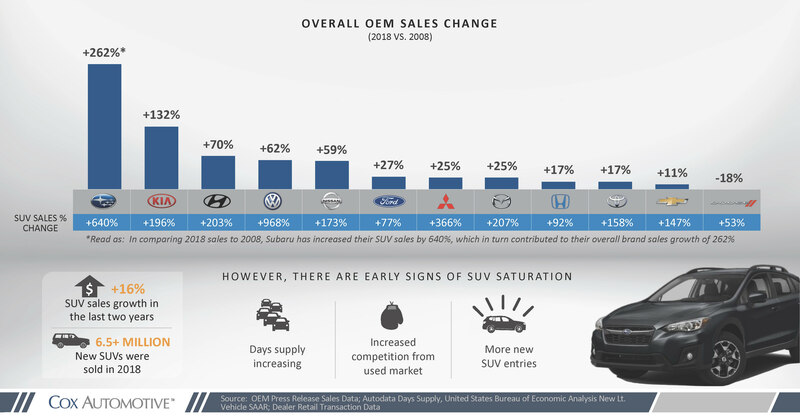 However, there are early signs of saturation with days’ supply increasing, increased competition from the used market and additional new SUV entries coming to market. 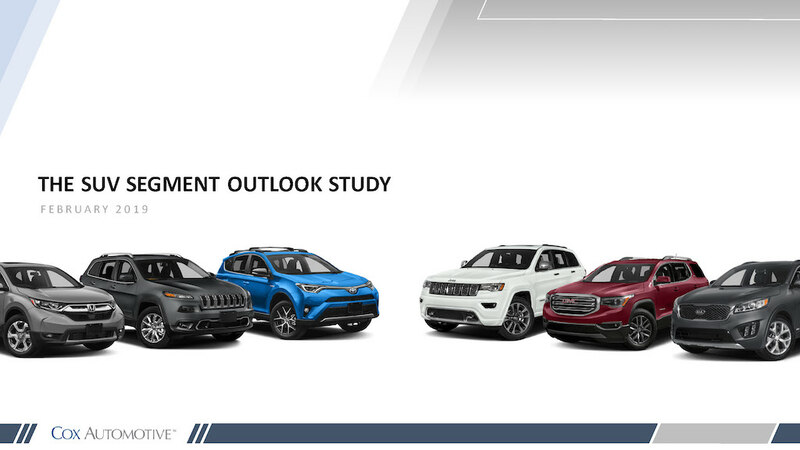 Download The SUV Segment Outlook Study below.